NATIONAL. The ongoing registration exercise to ascertain the number of learners at primary and post-primary education will close on August 30 Education State minister and national coordinator the project Rosemary Sseninde has revealed. 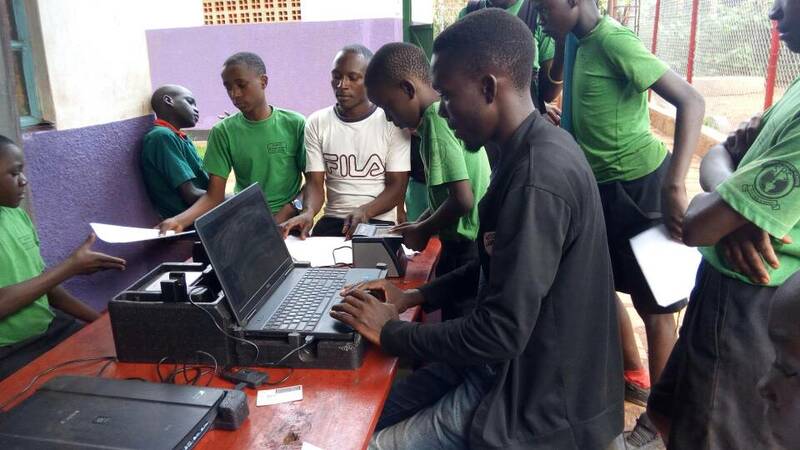 The Ministry of Education and Sports in partnership with the National Identification and Registration Authority (NIRA) on May 29 started a national exercise to register all learners aged between 5 and 16 in the country. “Our aim is to register 10 million learners in primary and secondary schools as well as post-primary technical institutions in the country,” Sseninde said. She said the registration of learners’ project followed a government decision reached during the retreat of ministers and permanent secretaries at Kyankwanzi from February 6 to 16 2014. The meeting tasked the Education ministry to work towards strengthening of monitoring and supervision mechanisms to help fight the problem of ‘ghost’ pupils and students in schools. It was on these grounds that President Museveni directed that the biometric registration of all pupils and students be undertaken to ease supervision of schools and rationalising spending so as to save resources. The country has been grappling with issues related to ‘ghost’ learners since the introduction of universal primary education in 1996 and other subsequent programmes for secondary education. As a result of ‘ghost’ learners, the Government loses billions of taxpayers money annually in paying for fees and other requirements for learners who only exist on registers. The exercise started with the distribution of registration forms, equipment and materials in the farthest parts of the country before it was rolled out to the rest of the country. To date, eight districts that include Kampala, Arua, Gulu, Moroto, Soroti, Mbarara, Hoima and Kabarole have already got the necessary materials and the process to register students is ongoing. To date, a total of 8,737,874 forms have been delivered out of the expected 11 million forms. A total of 13,479 schools have received forms out of 15,479 schools in districts where forms have been sent. The required human resource has also been established with a total of 12,000 enrollment officers (EOs) and 200 data processing officers recruited at districts to handle the enrollment and data processing processes respectively. Training of the relevant staff was done using the training of trainers (TOT) approach to ensure speedy skilling and deployment. “I wish to update the country that as of June 30, 1million learners had been enrolled against an approximated number of 2.9m in the first month. The rate of enrolment is, however, expected to accelerate in July as the distribution of forms covers the rest of the country,” Sseninde said. The minister said achieving such a noble cause comes with challenges, including slow response on the part of some parents towards the exercise and reluctance in supporting their children register by filling the forms and providing a copy of their national IDs. “However, we expect this to be solved as we intensify our sensitisation and grassroots mobilisation efforts in the districts through District Coordination Committees and regional supervisors to compliment ongoing awareness initiatives,” she said.